Google’s latest self-driving car, a two-seater that looks kind of like a giant bubble, is pretty minimal compared to normal coups. Most notably, it doesn’t have a steering wheel -- and tops out at 25 miles per hour. 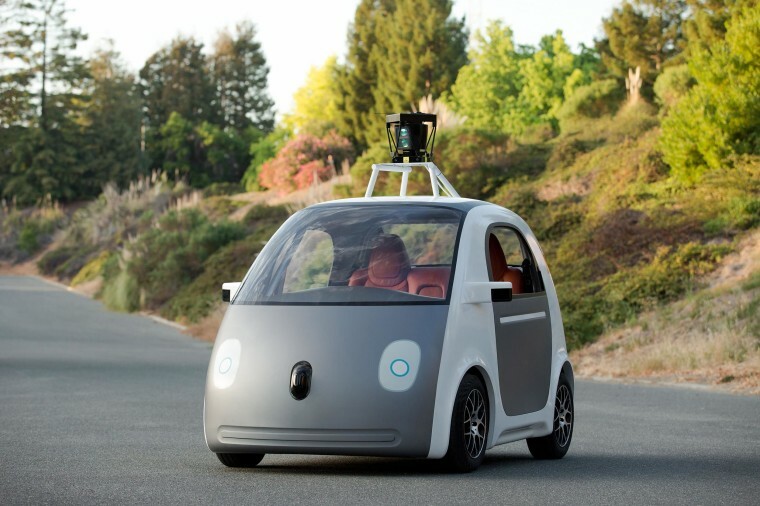 The car uses a lot of sensors and a version of the self-driving software used on Street View mapping vehicles. But Google’s fleet of automated cars aren’t completely independent. Two Google employees monitor them and stand ready to take control at any time. So far they’ve racked up 700,000 miles in tests. Our only question is, if the car runs a stop sign, who gets the ticket? Renowned author, poet, and civil rights activist Maya Angelou has died. Dr. Angelou was recently battling poor health, and could not attend the 2014 MLB Beacon Awards luncheon last week where she was an honoree. A native of St. Louis, Mo., she grew up to become a singer, dancer, actress, writer and Hollywood’s first female black director. She was a three-time Grammy winner, and was nominated for a Pulitzer, a Tony and an Emmy. Her literary career featured more than 30 bestselling titles. Her words ring eternal – none more so than the ones she tweeted just days ago: “Listen to yourself and in that quietude you might hear the voice of God.” Maya Angelou was 86 years old. This Jacksonville, Fla., teen is the definition of inspirational: Griffin Furlong was just named valedictorian at his high school with a 4.65 GPA. And he’s homeless. “Just never give up,” said Furlong. That’s always been his motto. “Never let anyone tell you that you can’t do something.” Furlong has lived in and out of homeless shelters since he was 7 years old. Now, the soon-to-be graduate will enter Florida State University next year on a scholarship and study engineering. 4. Worst First Pitch of All Time? Rapper 50 Cent is great at a lot of things. He’s a multi-millionaire. He knows his music. He’s also really buff -- but hand-eye coordination? Not so much. On Tuesday, the Queens native threw the ceremonial first pitch for the Mets game. But his pitch, which was supposed to cross over home plate, somehow ended up closer to the home dugout. It’s OK 50. Next time. True Hollywood story: in June Comedian Dave Chappelle is coming back to New York City where he’ll perform in the Big Apple for the first time in a decade. From June 24-26, he’s co-headlining shows at Radio City Music Hall alongside musical guests The Roots, Janelle Monae, Erykah Badu and more. He’s also doing standup for five nights, from June 18-22 at Radio City. After leaving Comedy Central and the wildly successful “Chapelle’s Show,” the once reclusive comedian returned to sold-out audiences last year, performing throughout the South. Ever been home alone and had a hankering to play a board game, but no one to play it with? That doesn’t happen to Alan Palesko. His cat, Moe, is something of a Jenga prodigy. Seriously. Watch them in action.